About Us | Marble Creations Inc.
Marble Creations, Inc. is a pioneer in the stone industry. We’ve brought the tradition of stone making from the old world to the Bay Area since 1985. Here at Marble Creations, Inc., tradition is valued and we try our best to follow in the footsteps of our ancestors who worked in the stone quarries for hundreds of years. We offer old world craftsmanship combined with new technology to create the projects of your dream. 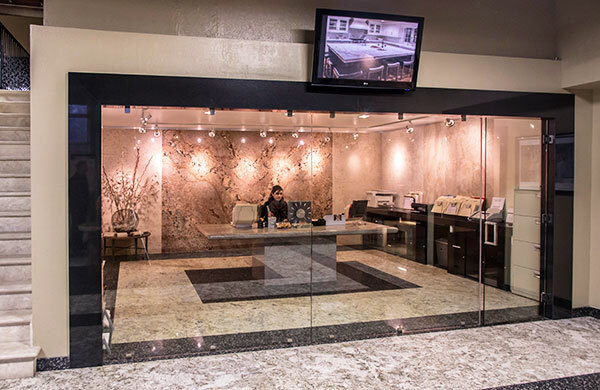 Marble Creations has been family-owned and operated since 1985 in the San Francisco Bay Area. We offer a sophisticated in-house fabrication facility and installation crews. We are insured, licensed, and bonded in every aspect, from the time you walk into the showroom until the finishing installation of your project.